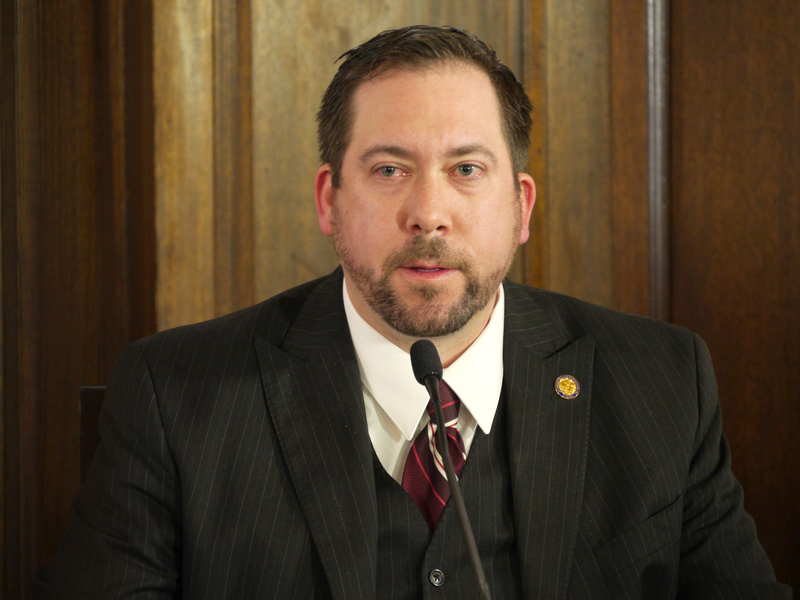 Former state Rep. Zach Fansler pleaded guilty Thursday to second-degree harassment in connection with a January incident in which he struck a woman in his hotel room. Juneau District Court Judge Kirsten Swanson sentenced Fansler to a 10-day suspended sentence and a year of probation. Fansler will also have to do 80 hours of community service and seek alcohol treatment. He’s prohibited from drinking any alcohol for a year. Chief Assistant Attorney General Paul Miovas urged Swanson to require community service. He said Fansler enjoys hurting women. Fansler called into the hearing. His lawyer Wallace Tetlow said he disagrees that Fansler likes to hurt women. He noted that Fansler had no prior record of arrests. Tetlow alleged there was some degree of consent from the victim. He argued against the community service. In a written statement to Swanson, the victim said Fansler’s actions were predatory and intentionally violent. Swanson was moved as she spoke about the effect of the incident on the victim. “Certainly when I read her letter, it was clear, not only the physical harm that she had with the eardrum, but also what she felt emotionally,” Swanson said. The incident happened on the night of Jan. 13, and became public two weeks later, when the Juneau Empire reported it. Fansler submitted his resignation six days after that. The Democrat was elected in 2016 to represent the Yukon-Kuskokwim Delta. Fansler is originally from Pennsylvania. His current state of residence isn’t clear. A call to his attorney hadn’t been returned by deadline.